BULOVA is celebrating it’s 140th anniversary of creating beautiful timepieces for men and women everywhere. Being one of my all time favourite watch makers, I was beyond excited when I received my very first bulova precisionist. 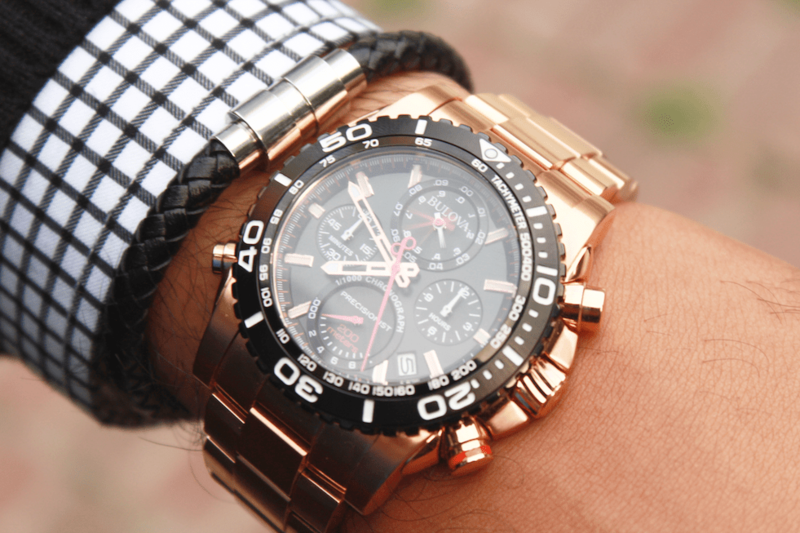 Every Bulova Precisionist features the exclusive Ultra High Frequency or UHF technology. The UHF is quiet, and vibrates 8 times faster than the traditional 2 prong crystal. The three prong vibrates at 262 kHz, alongside with the high performance quartz – engineered for the extreme accuracy. My Bulova Precisionist is absolutely stunning. I have always wanted a rose gold watch, however, it has always been difficult to find one that is still masculine, but Bulova truly did a great job of maintaining that.